I'm not one to review or compare commercial products and I certainly have never been sponsored to do so. 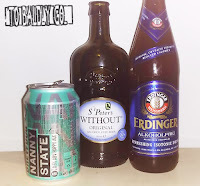 Recently I decided to look for an alternative to carbonated soft drinks, it's been a while since I tried low/zero alcohol beers so I thought I'd revisit them. I purchased all the items myself and have not had any contact with any of the breweries or suppliers about this post. My first dabble with alcohol free beer was when I was 17. My parents had a pub at the time (which we lived in) and I was desperate to be in that world. Of course my parents wouldn't let me drink alcohol in the bar area but they'd let me drink the zero alcohol offering (as long as I drank from the bottle). It was disgusting stuff but I drank it all the same, just to look cool. 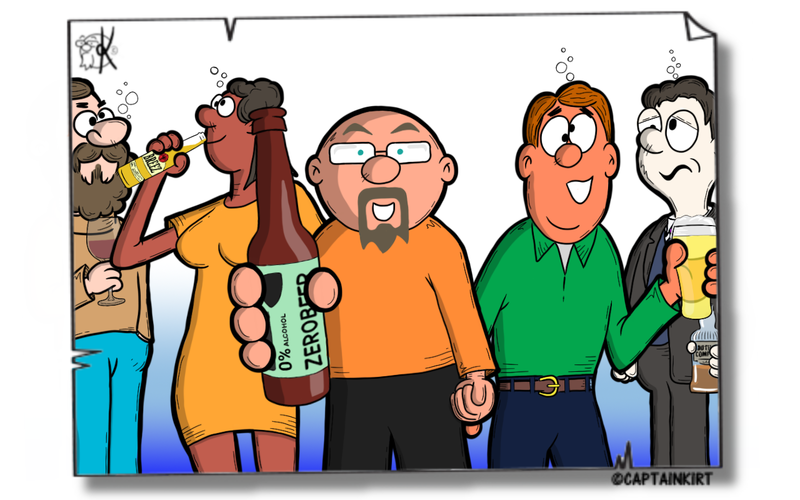 Low alcohol beers have had a bad rap in the past (for good reason). These beers have traditionally been manufactured by heating regular beer and cooking out the alcohol - and with it most of the flavour. Recently there has been a resurgence in these beers with top brewers taking on the task, some brewing without alcohol from scratch. This journey started last year after I'd completed the Tour de Yorkshire Sportive, at the finish line all the competitors were offered a pint of beer - it was the finest I'd ever tasted (probably skewed by the fact I'd just cycled one of the most gruelling rides of my life), I was surprised to learn the beer was low alcohol. I tried this in a Weatherspoon's in my local shopping mall, after a shopping trip Morticia and I like to relax over a drink together before returning home. I've tried regular Ghost Ship so there is some level of comparison here. It has some real beer-y aromas but lets itself down with a watery taste. However it's a worthwhile substitute if the that's all the pub has to offer. This one is a wheat beer and wouldn't normally be on my list for consideration but this is the one that was served to me after my cycling event last year. I've tried it since and I have to say it has a good all round taste, easy drinking and definitely a decent substitute for the full strength beers. Now I'm a bit of a Brewdog fan, I know that can be a bit controversial amongst the beer drinking community but, hey, I enjoy the beers and find their bars to be fun places. So I had high hopes for this one. I wasn't disappointed. Aromatic with a hoppy, malty smell - and the taste didn't disappoint, don't forget this isn't real beer in the traditional sense so it's not up there in direct comparison but as a low alcohol offering this is excellent fayre and easily palatable. I looked forward to trying this one because I'm a fan of St Peter's ales - I usually drink them when I'm in the south visiting my mother-in-law. It'd poured a bit flat and as I poured it the smell hit me. Urggh! It smelled like cleaning fluid. The taste was well off, clearly the one to avoid - I'd rather not bother. So the result; The out and out winner in my little taste test is clearly Nanny State, a palatable ale in its own right. I'll definitely seek this one out when I'm in a pub when I'm driving or just don't fancy drinking a regular beer. A special mention goes out to Erdinger's beer, definitely up there as a 'good beer' in it's own right. This journey isn't over, I'll continue trying new offering in this category as I come across them.